Moving isn’t easy, especially when you lived in your home for over 25 years. Downsizing homes means leaving the house that holds beautiful memories of raising a family. From the first steps your child made across the kitchen floor to the time when your 10-year-old baked her first batch of chocolate chip cookies. Your home embraces priceless moments such as the time when you and your spouse enjoyed a glass of wine while sitting in the back patio, enjoying the beautiful weather, talking and laughing. Moving is a tough choice but you know it’s the best choice to make. 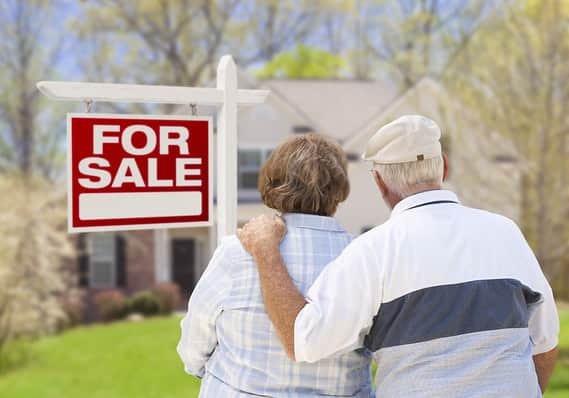 Now that you and your spouse are close to retirement and the kids are out on their own, both of you are thinking of downsizing into a smaller home to lower your cost of expenses. While you and your spouse begin the process of selling your home, you probably already had a few offers from a friend or an acquaintance asked how much you want to sell it for. If you have no idea how much your home is worth, ask an agent for a free market value analysis. Downsizing homes doesn’t mean downgrading homes! It’s advisable to hire a real estate agent to sell your home and help you look for another one. Their experience in marketing your home to attract potential buyers, their negotiating skills and the resources that they can provide for you to purchase your next home, can ease the transition and stress. Whether you want to relocate but remain near family or relax in a beautiful condo on beachfront property, there are definitely some great options for you and your spouse to consider. Make sure to let your agent know what both of you are looking for and where you want to buy your home. Are you ready to sell your current home and buy another home that better fits your lifestyle, contact us anytime and we’ll help you with the transition.